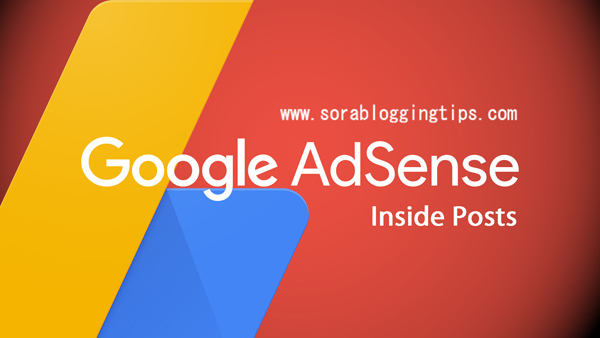 Today we will learn Automatically Insert Adsense Ads Inside Post In Blogger Blogs. Adsense is the most popular and trusted way to earn money through blogging. You can put ads almost anywhere in your blog but the most profitable area is the post, because that is the area where most of your readers and visitors are interested in. almost 88% of the search, referral, social and direct traffic comes there. So placing an ad inside post will probably generate more income than any other place. But unfortunately you can't place ads inside post, blogger doesn't have this feature in the settings, so we came up with a tweak which will allow you to put your desired ad code or adsense code below 1st., 2nd and later paragraphs. without wasting any time lets start the tutorial. The First thing you need to do is to login into your Blogger account and go to >> Templates >> Edit HTML and search for the ending <data:post.body/>. After you get the code just replace it with below code. ADSENSE CODE HERE Replace this text with your adsense code, but before replacing you have to convert the code with special tool, convert your adsense code by going to this tool- Adsense Ads Converter. adscont,linebreak To insert the ad after the second paragraph, change "0" from the line in red with "2". Congrats !! You have made it. now you have learned that Automatically Insert Adsense Ads Inside Post In Blogger Blogs. Visit your blog and check the awesome customization live in action, hope you liked this tutorial, if you enjoyed then please share it with your friends, we are working hard to develop more such awesome widgets please stay tuned with Us. kveðja !! (Goodbye in Icelandic!! hahaha). A special thanks to Helplogger for the above code. i put it in my blog https://indiancookingmaster.blogspot.in/ but showing up. what could do? We can't see the codes in your page source, make suye you have placed the codes in right place. i put the code in my site www.thinktwice.tk for approval but i dont think i pasted it in the right place.. pls. help..
We can't see the codes in your page source, make sure you have placed the codes in right place. Put another ad code below 1st one. how do I check if it works? Check your blog post's middle section. I have tried it and it only worked on the third tag, but since i have added it already, can i add another one? the previous one i added was in linebreak 4, how can i add another one in linebreak 7? Currently it only supports one ad at a time. It works. Thanks, but how do I insert ads below the title of the blog post? We will cover it in the next tutorial. Show up before the post description !!! We have already mentioned that you have to convert the code before adding. I'm already buy optima premium template..i'm try to put true ads adsense before close head code but true ads is not working. And also please give tutorial how to put ads code below content. I have started a blog on google blogger, in future i want to apply to google adsense. 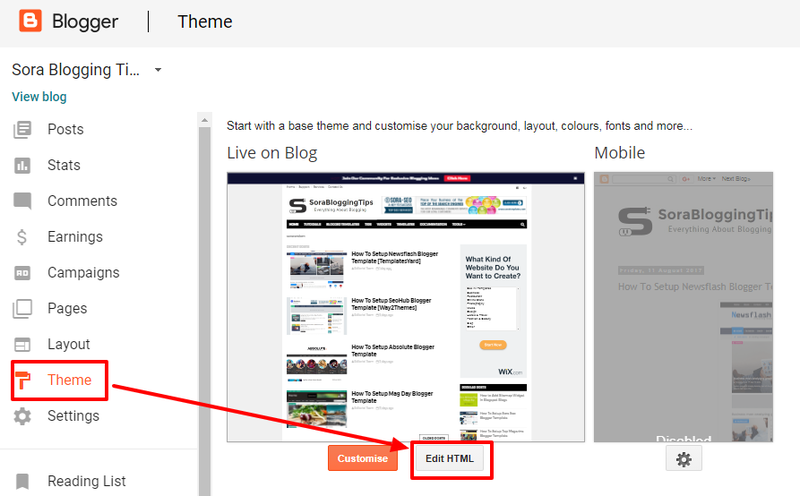 If i install sora one blogger templats now, then does google adsense will give me approval in future? 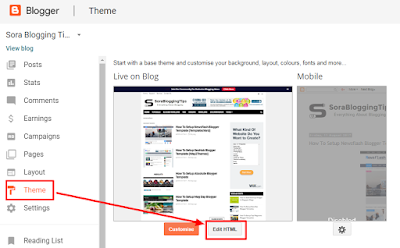 Or it give approval in templats avalable in google blogger? PLEASE HELP ME. Our templates are ads ready and you will get approval by using our templates. Thanks it worked perfectly. The ad is displayed below first paragraph of the post. Now expecting a tutorial to display one ad unit at the bottom of the post too! I appreciate the tutorial and it works perfectly. It worked with my template's third element. However, this post needs to be updated as parsing the adsense code before adding is no longer needed. Does this work with the Adsense Auto Ad Script ? This script is based on old ad formats but still you can give it a try. As I am using Sora Template, it was better for me to use this code. It worked at the last datapostbody.